Ghana’s health managers are patting themselves on the back for a good effort, despite the country’s failure to achieve the Millennium Development Goals (MDG) on health. Officials say there have been significant improvements in health care services, especially in rural communities, though there is still more to be done. The Millennium Development Goal’s which started across the world in 1990, ends this month. According to the Ghana Demographic and Health Survey for 2014, infant mortality or still-birth rate has improved from 77 per 1,000 live births to 41 per 1,000. Child mortality dropped from 84 per 1,000 live births to 19 per 1,000, while under-5 mortality rate fell from 115 to 60 per 1,000 live births. Maternal mortality has also reduced significantly. Since 1988, percentage of pregnant women who receive antenatal care has improved from 82 per cent and to 97.3 per cent currently. Percentage of women delivered by a skilled attendant also went up from 40 per cent to 73.7 per cent. The women who have access to post- natal care in the first 48 hours grew to 78.2 per cent. These indicators are against the MDG Goal 4 which targets to reduce child mortality by two- thirds, as well as Goal 5 which looks at reducing maternal mortality by three- quarters. National Chairman of District Directors of Health Services Group, Dr. Osei Kuffuor Afreh, tells LUV News the figures are impressive. “In a nut shell, the health of Ghanaians over the MDG periods has improved. As a country, I think we have done very well,” he said. The director adds that, “In Africa, we stand as one of the countries who have made significant improvements in core indices because our family planning has gone up”. But one of the challenges, he acknowledged affected their improvement was the neonatal mortality – children born supposedly dead. 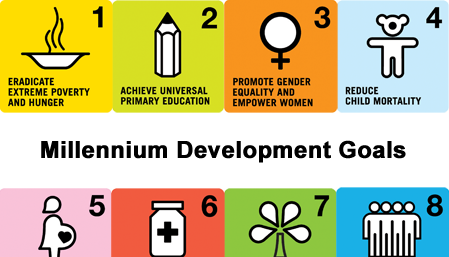 As the 15 year target period of the MDGs ends this month, Ghana will enroll onto the Sustainable Development Goals whose targets and indicators are higher the MDGs. Going forward, Dr. Afreh says the health sector will sustain and improve on the gains. We will therefore continue to educate the public to bring all children under-five years, so we access their health and provide the necessary support. “It’s a very long time we heard children have tetanus, or die from measles. We want our children to be protected with the vaccines and immunizations that we give them,” he said.